Styled with mock neck t-shirt and wedgie icon . Really happy with the coat as well as deliver service. I got the red version of this coat....wore it on Valentine's Day and got SO many compliments! It's a wonderful poppy red and very cuddly and soft. 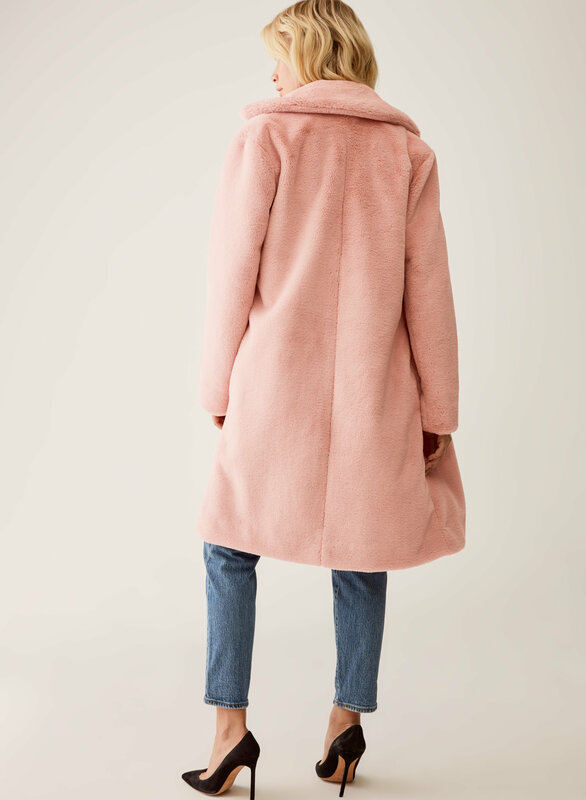 I would grab this coat asap if I were you before it sells out. I am a cold person by nature and bought this as a sweater (TBH) but I actually wore it in -30 degrees C in Northern Alberta and it was extremely warm...still, I wore it as a sweater at work all day too;) and never took it off! This super soft and very vibrant red faux fur coat will turn heads! Great purchase! Loved it! Wish other colours were still available!! I bought the red one and absolutely love it! So soft, cozy and incredibly warm! Just wish it was still available in other colours, I would buy them all!! I'm 5'6 and 145lbs and I typically wear a size S top and size M for outerwear. 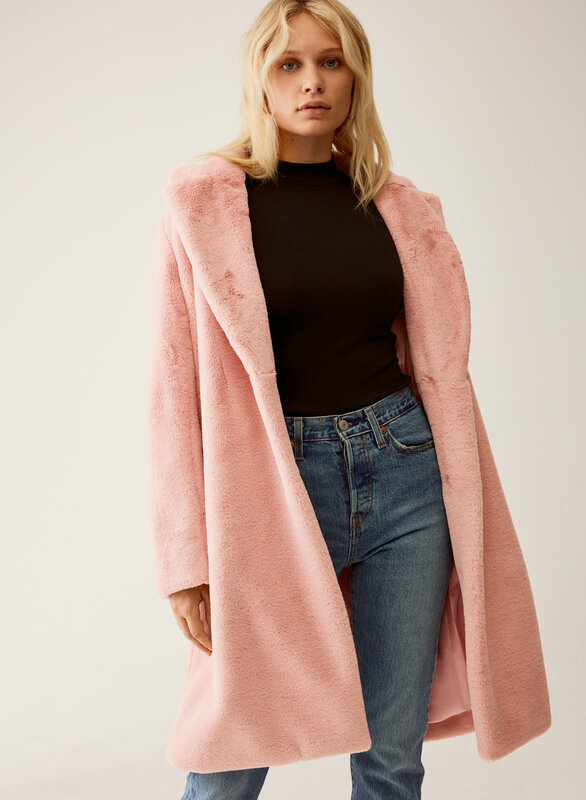 For the Real Faux Fur Coat I purchased a size M and it fits like the on the model pictured. The shoulder seams are not aligned right on the shoulder but slightly lower. The pockets are sewed tightly closed and I will need a seam ripper to open them properly. The Lillooet colour is bright and reminds me of Tickle Me Elmo, I love it. Super soft and kind of dramatic. This coat was made for me, I received 3 compliments while trying on in store and knew I had to have! Got a deal during Boxing sale. Love this coat. Soft and shiny faux fur. Keeps me warm. Wish it came in grey too. Would buy again. I ordered it expecting to return it but it ended up being one of my fav buys! Now it’s my new fav coat and I wear it almost everyday. It’s really really soft and the color is gorgeous. Fit is not too snug and not too loose and the length is just right! 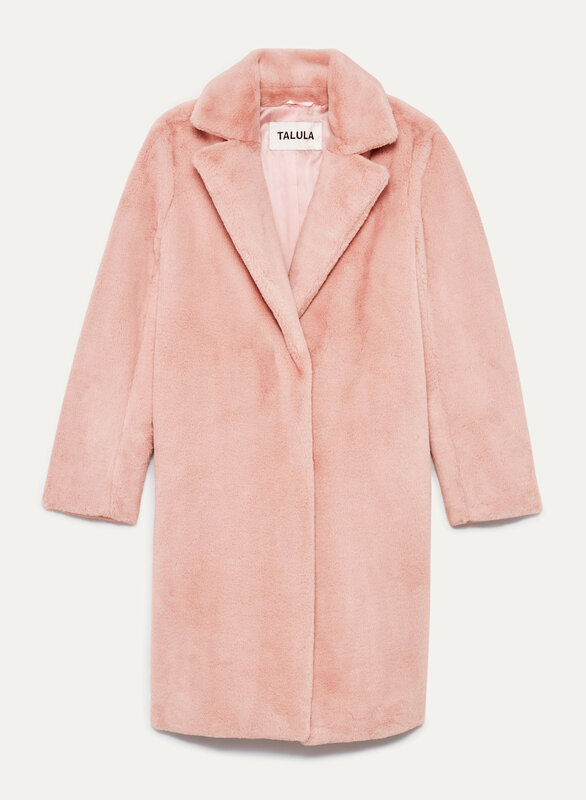 I would highly recommend this coat! Very soft and cozy. My favorite coat at the moment. I’m 5’3 120lbs and the small is perfect. This coat is so very soft that I find myself touching it frequently as I am wearing it! Loved it so much I bought pink and red! Oh yes, it is very light and warm!